“Community events build community,” said former U.S. Army Garrison Bavaria Chaplain (COL) Kevin M. Pies. Community volunteers contribute to the success of community efforts. This plays out on a monthly basis with the Army Chaplain Corps’ Strong Bonds events. Volunteers throughout USAG Bavaria contribute their time and talents as an act of sacrificial service to their fellow community members by ensuring Strong Bonds attendees are well cared for. Given the dynamics of being located in Germany, traditional resourcing methods for these events are not available to chaplains. As such, chaplains demonstrate true interoperability by drawing from the greater community to enrich these events and thus the lives of those in attendance. “It’s a pleasure to serve our community in any capacity needed. It’s really a joy to interact with the children and be a integral part of the Strong Bonds and garrison services” said Sgt. 1st Class Pierre J. Fuentes of the 2nd Cavalry Regiment. “I enjoy serving our military families to take a load and worry off the parents so they can focus on learning the skills and having that time to have the conversations needed,” Fuentes said. The entire Fuentes family delivers superb care for training attendees and their family members. The Office of the Chief of Chaplains guidance on Strong Bonds is to “care for the entire family.” Community volunteers amplify a chaplain’s capabilities to fulfill their mission. USAG Bavaria Family Life Chaplain (MAJ) Kevin M. Hovan identifies the importance of training events like Strong Bonds for the war-fighter. “During the instruction, couples spend a great deal of time talking to each other about deep matters. Our volunteers give them the opportunity to focus on their marriages,” said Hovan. 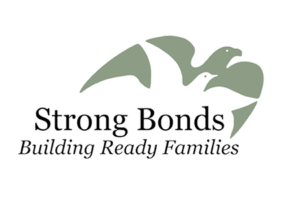 With additional creative resourcing, Strong Bonds serves as a premier training opportunity for attendees and community volunteers. Interested volunteers can reach out to Mr. Robert M. Auker, Director of Religious Education in USAG Bavaria, at robert.m.auker.civ@mail.mil, to learn more about contributing to Strong Bonds and greater religious support operations in the community. The USAG Bavaria Religious Support Office serves the military communities of Grafenwoehr, Vilseck, Hohenfels and Garmisch.